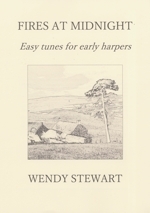 A selection of easy arrangements for early harpers arrangements by Wendy Stewart aimed at the new harpist. With helpful notes and a study CD. Welcome! Please listen to the accompanying CD as often as possible before you try to learn these tunes. 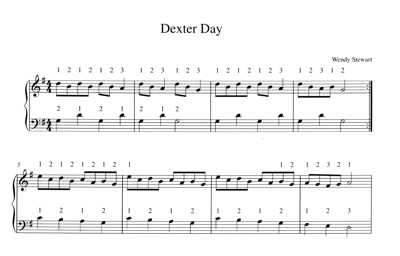 This will let the shapes and patterns of the melodies and chords settle in your brain before you attempt the hard bit of transferring them to your own fingers. Take it slow and steady with building up the arrangements - perhaps a right hand first or chord pattern as I have done on the recording. Use the CD again to play along to or to accompany yourself - karaoke clarsach! With this selection of traditional and new pieces, l’ve used a range of styles and feel. I hope you find something you really like the sound of and will play for a long time to come. Wendy Stewart. Glencairn, Scotland.